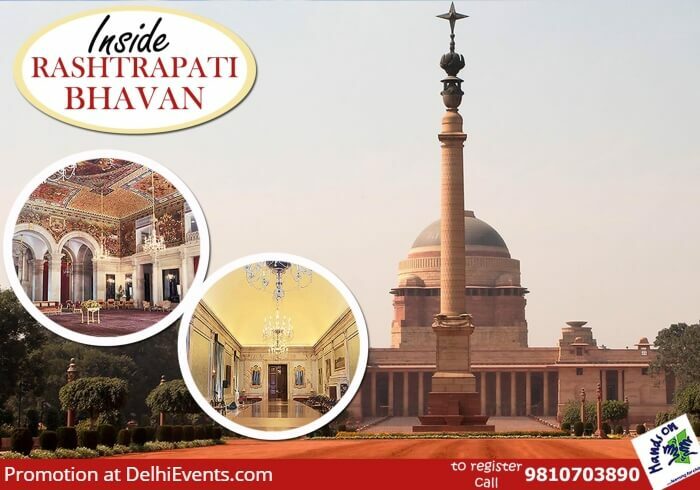 Event Description : KIDS WALK : Hands On presents "Inside Rashtrapati Bhavan"
Kids take a never before look inside Rashtrapati Bhavan, the largest residence of any head of the state in the world. They experience a piece of Indian history as they walk through the hallowed halls which were first used by the British & later by Indian Presidents. Children see the towering Jaipur Column, imposing Durbar Hall, Persian-style Ashoka Hall & grand British-style drawing rooms.